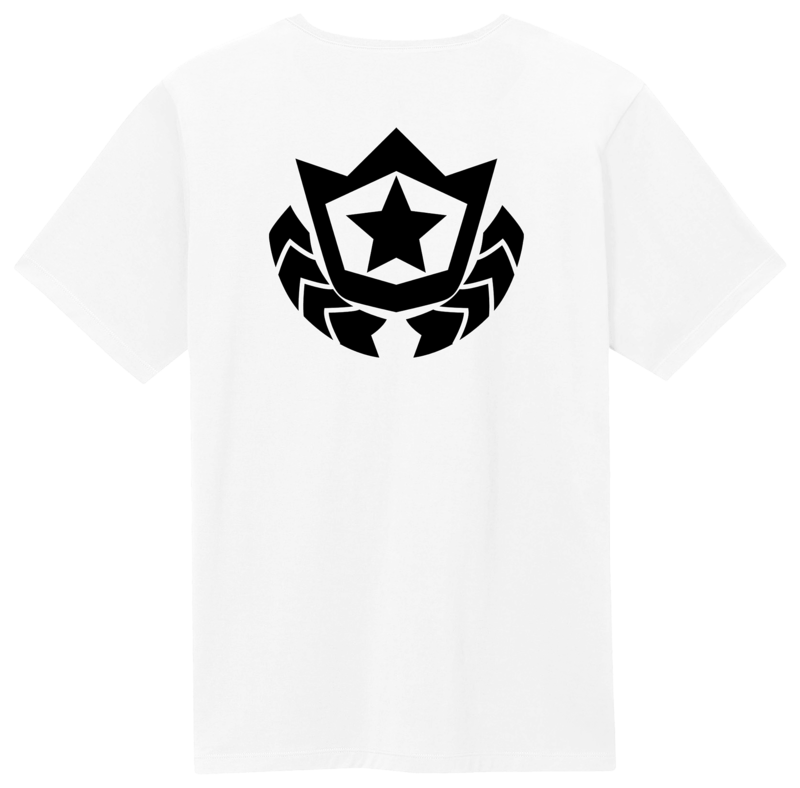 Show off your skill with the Fortnite Battlestar T-Shirt! You won't require a Battle Pass to wear this stylish and comfortable piece of Fortnite merchandise. This white t-shirt features the word 'Fortnite' emblazoned on the chest, with a large Battlestar logo on the back. This will make the perfect gift for any fans of the Battle Royale game, so don't miss out and shop this kids t-shirt today! *“Only at GAME” means that the products shown, in the colours shown are only available at GAME stores or at www.game.co.uk in the UK. Are you looking for the perfect gift this Christmas? Shop the Fortnite Battlestar White T-Shirt - only at GAME. Fortnite is one of the most popular games around the world, and this Fortnite t-shirt is the perfect piece of merchandise for any gamer. The simplistic design makes this t-shirt wearable all year round. On the front, the ""Fortnite"" logo features in black and on the back is a large Battlestar logo. When players wish to progress in Fortnite using their current Battle Pass, they must collect Battle Stars. These are given as rewards when you complete Daily Challenges. The more players level up, the more rewards they will receive! But don't worry, there's no need to level up or pass any Battle Pass Challenges to get this t-shirt. Shop the Fortnite Battlestar White T-Shirt in kids size medium today only available at GAME.